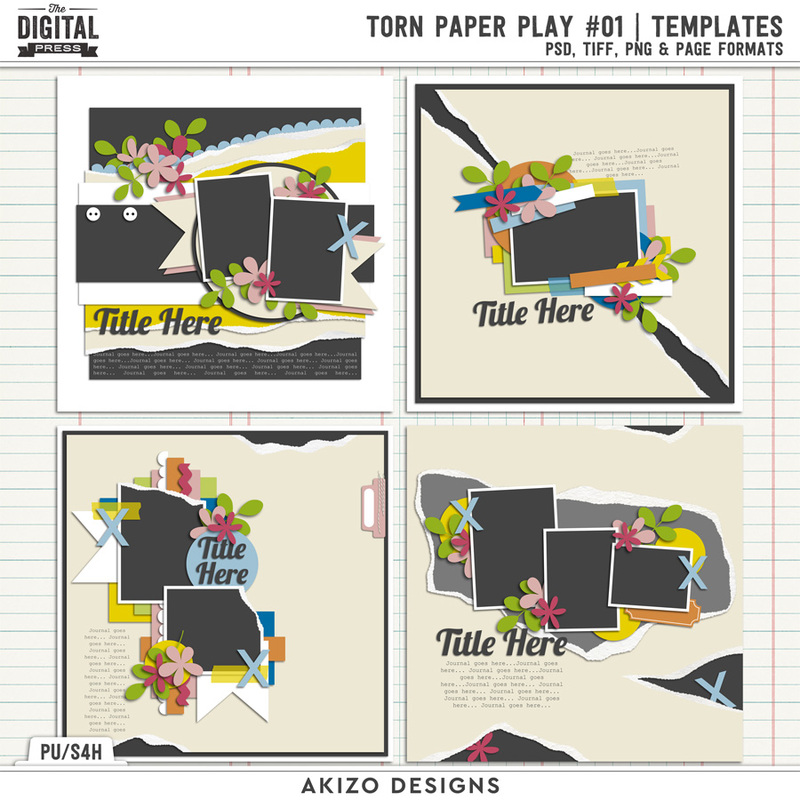 Torn Paper Play 01 | Templates by Akizo Designs For Digital Scrapbooking. 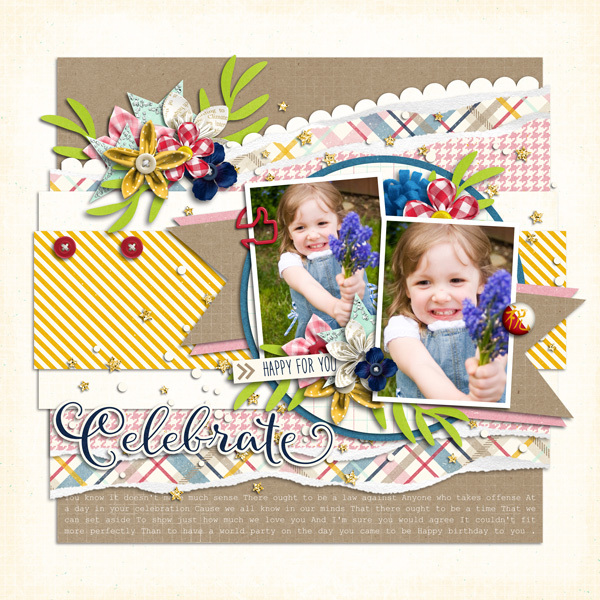 Do you want to tear up your favorite papers in digital layout? 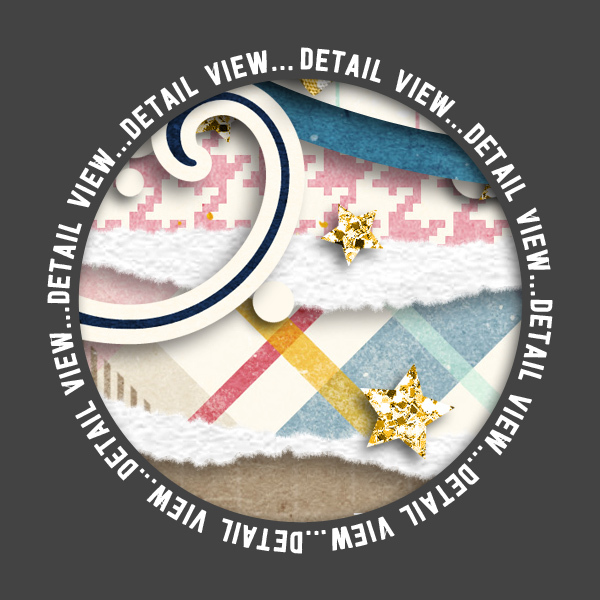 This is perfect for you! 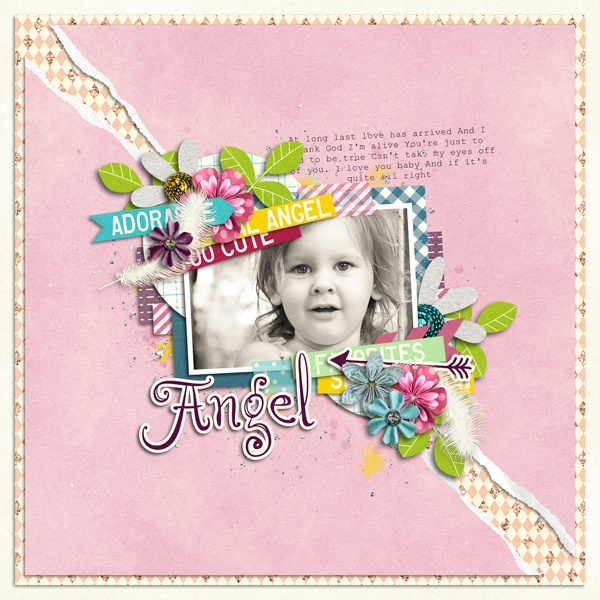 Each template includes realistic torn paper layer, so you can make unique layouts quickly.